Measuring the pattern of activity in the brain region known as the striatum may be able predict how well a patient with acute psychosis responds to antipsychotics, according to a study published Friday in AJP in Advance. While this method needs some further development, it does show the potential to be a clinical tool that could help reduce the uncertainty associated with treatment response to antipsychotic medications. The study authors used functional MRI (fMRI) to develop brain connectivity maps in a cohort of 41 first-episode schizophrenia patients; the fMRI images were taken prior to the patients’ participation in a clinical study of risperidone or aripiprazole. A comparison of the connection profiles of the patients who responded to the medications with those that did not revealed 91 nodes throughout the brain that were functionally connected to the striatum and associated with treatment response. The researchers applied this “connectivity index” to an independent set of 40 newly hospitalized patients with acute psychosis and found that the index could predict a positive drug response with around 78% accuracy. In general, the fMRI scans showed that drug responders had less striatal connectivity—a deficit the authors suggest may be remedied by drug action. In contrast, non-responders tended to have greater connectivity, suggesting the biological mechanisms for their psychosis is resistant to primary functional effects of standard antipsychotic medications, according to the authors. On Saturday, the nation will mark the 10th anniversary of the day Hurricane Katrina barreled into the Gulf Coast, leaving more than 1,800 dead, tens of thousands stranded, and property damage of about $108 billion. Speier managed Louisiana Spirit, the federally funded crisis counseling program created after the hurricane. He was one of more than a dozen mental health professionals interviewed for a two-part series in Psychiatric News that examines the indelible imprint the hurricane left on the minds of the mental health professionals who lived and traveled to the region shortly after the storm. “Hurricane Katrina Is No Distant Memory to Gulf Coast Clinicians” describes the impact that the hurricane had on psychiatrists who were working in New Orleans when the storm hit and their involvement in efforts to rebuild the region's mental health infastructure. “Psychiatrists Who Volunteered After Katrina Look Back on Lessons” details the efforts that were made to recruit, vet, connect, and organize volunteer psychiatrists, and the lessons psychiatrists gained from the challenges they experienced. For more on the best practices for helping those affected by disaster, see Disaster Psychiatry: Readiness, Evaluation, and Treatment from American Psychiatric Publishing. APA members can purchase the book at a discount. Also, see the American Journal of Psychiatry article "Disruption of Existing Mental Health Treatments and Failure to Initiate New Treatment After Hurricane Katrina." The shooting of two television journalists outside of Roanoke, Va., yesterday went out over the air during a live broadcast, exposing viewers to real-life violence and trauma as it happened. WDBJ reporter Alison Parker, 24, and cameraman Adam Ward, 27, were interviewing economic development official Vicki Gardner, 62, when a gunman identified as Vester Flanagan attacked them. Parker and Ward were killed and Gardner was injured. "Our hearts go out to the victims’ families, who are right here in our home state of Virginia," said APA CEO and Medical Director Saul Levin, M.D., M.P.A. Family members, friends, and coworkers of the victims as well as the surrounding community are grieving over the deaths of two admired and beloved people, a reminder of the widening circle around such tragedies. “At such moments, employers might want to remind workers about the availability of mental health supports through employee assistance programs,” said Levin during an interview on Thursday with a television station in the Washington, D.C., region. Those who appear to have strong reactions to a tragedy should be approached and offered support or other help, he added. Viewers, especially children, may also have been traumatized by what they saw on live television, but need to be approached individually, said APA President Renée Binder, M.D., in an interview with Psychiatric News. Should they choose to do so, discussing their reactions with anyone—a doctor, mental health professional, teacher, religious leader, or friends and colleagues—may help, she said. For information on fostering a workplace culture that supports emotional health and well-being, see the American Psychiatric Association Foundation’s Partnership for Workplace Mental Health. While past research on gender differences in the onset of posttraumatic stress disorder (PTSD) among U.S. veterans has been mixed, a recent study by the departments of Defense and Veterans Affairs suggests that women in the military are at no greater risk of developing PTSD than their male counterparts who experience similar traumatic events. The study included more than 2,300 pairs of men and women in the military who were matched based on an array of variables—including combat exposure, alcohol misuse, depression, and sexual assault—and surveyed on PTSD symptoms over an average time span of seven years (from 2001 to 2008). All participants had been deployed at least once to Iraq or Afghanistan and did not show signs of PTSD at the study’s initiation. Outcome measures included a positive screen for PTSD and symptom severity scores measured by the PTSD Patient Checklist-Civilian Version. The results, published in the Journal of Psychiatric Research, showed that 6.7 percent of women and 6.1 percent of men developed PTSD — a difference that was not statistically significant. There was also no difference in the severity of PTSD symptoms among men and women who developed the disorder. “This study supports the positive direction being taken by the expansion of women's occupations into combat arms roles, and suggests continued support from the [Department of Defense] for women seeking occupational equality in the military setting,” the researchers noted. They concluded that the current findings support the notion that gender alone is not an indicator of PTSD risk. A program that combined outreach care management and self-management skills for people with chronic or recurrent depressive symptoms was more effective than treatment as usual in reducing depressive symptoms and major depressive episodes, according to a study published last week in Psychiatric Services in Advance. Researchers from the Group Health Research Institute in Seattle recruited 302 participants ages 18 and older with chronic depression or recurrent episodes of depression from five primary care clinics in the Seattle area. Participants were randomly assigned to treatment as usual or a self-management support service consisting of depression self-management training, recovery coaching, and care coordination. 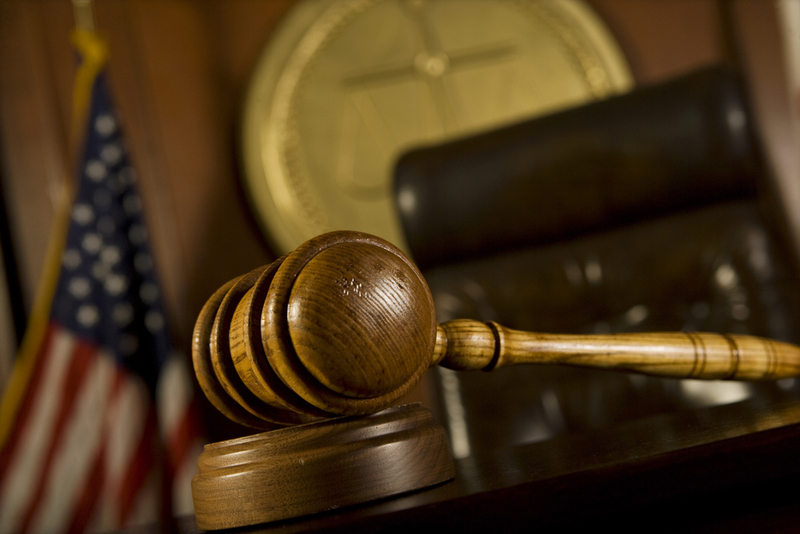 The 18-month intervention included regular telephone or in-person contacts with a care manager and a structured group program. As part of the group program, participants met weekly for ten weeks, twice a month for two months, and then once a month for maintenance of progress. The meetings were co-led by a care manager and a trained peer specialist. Repeated-measures estimates of the long-term effect of the intervention versus usual care (average of the six-, 12-, and 18-month outcomes adjusted for age, gender, and site) indicated that intervention participants had less severe symptoms, higher recovery scores, and were less likely to be depressed. For related information, see the Psychiatric News article “Integrated Care Book Offers ‘How-To’ Advice for Psychiatrists. People who have migraines and fibromyalgia have a higher rate of suicidal thoughts or attempts than those with migraines alone, according to a study published online Friday in Neurology. For the study, researchers surveyed over 1,300 adult migraine patients who had attended a specialty headache clinic. Around 10% of these patients reported also having fibromyalgia, and among this subset 58.3% of patients reported suicidal ideation and 17.6% reported suicide attempts. In migraine patients who did not report fibromyalgia, the rates for ideation and attempt were 24.1% and 5.7%, respectively. Patients with migraines and fibromyalgia also reported a higher frequency of headaches, more headache-related disability, poorer sleep quality, and more depression and anxiety symptoms than those with migraines only. The authors noted that since all the participants in the study went to a headache clinic, their symptoms and discomfort may be higher than the average population, so the findings may not be applicable to everyone. However, they recommended that future studies explore the relationship between suicide risk and other pain conditions to see if there is some unique effect of combined migraine and fibromyalgia or if the risks are due to increased pain in general. To read more about the effective management of people with chronic pain conditions, see the FOCUS article "A Review of Chronic Noncancer Pain: Epidemiology, Assessment, Treatment, and Future Needs." 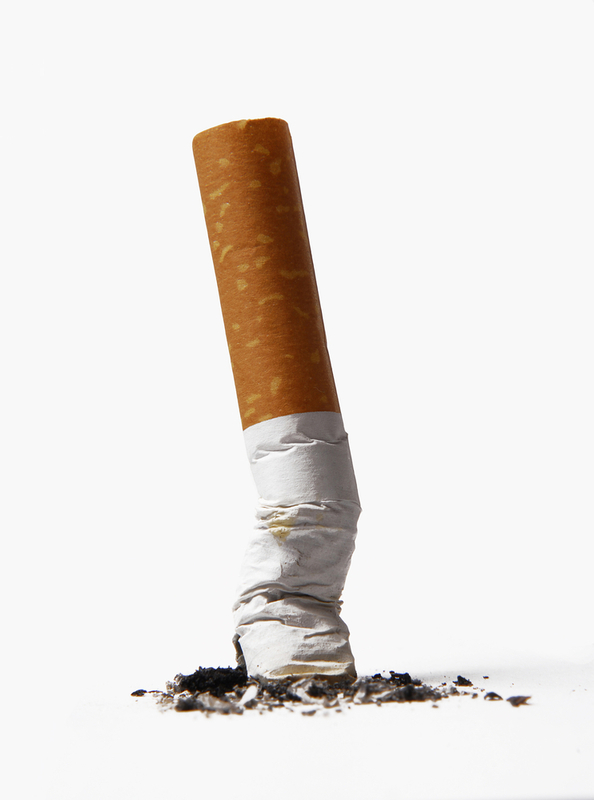 Four interventions—metformin and behavioral strategies for weight loss and bupropion and varenicline for smoking reduction—were found to be effective in people living with serious mental illness, according to a review in Schizophrenia Bulletin. People with serious mental illness (SMI) have mortality rates two to three times higher than that of the overall U.S. population. The prevalence of cardiovascular risk factors, such as obesity and diabetes mellitus, and other conditions, such as HIV/AIDS, are particularly heightened in this group. Based on the recommendations of a National Institute of Mental Health (NIMH) stakeholder meeting, researchers from Johns Hopkins University and NIMH conducted a comprehensive review examining the strength of the evidence surrounding interventions to address major medical conditions and health-risk behaviors among persons with SMI. A total of 108 randomized, controlled trials and observational studies testing interventions to address medical conditions and risk behaviors among persons with schizophrenia and bipolar disorder between January 2000 and June 2014 were included. 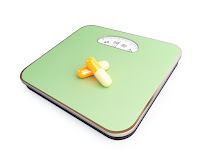 The authors found that well-designed behavioral interventions and metformin were beneficial for weight loss, and bupropion and varenicline reduced tobacco smoking among people with serious mental illness. However, the strength of the evidence was low for most other interventions reviewed. Yesterday, the Food and Drug Administration approved Addyi (flibanserin) to treat acquired, generalized hypoactive sexual desire disorder (HSDD) in premenopausal women. The medication is the first FDA-approved treatment for sexual desire disorders in men or women. The approval of the Addyi—a serotonin 1A receptor agonist and serotonin 2A receptor antagonist—was based on data from three 24-week randomized, double-blind, placebo-controlled trials in approximately 2,400 premenopausal women with acquired, generalized HSDD. The average age of the trial participants was 36 years, with an average duration of HSDD of approximately five years. The participants took either an oral 100 mg dose of Addyi or placebo at bedtime. Across the three trials, women taking Addyi were 10% more likely to report at follow-up meaningful improvements in past-month sexual event satisfaction or sexual desires than women being treated with placebo. On average, treatment with Addyi increased the number of satisfying sexual events by 0.5 to 1 additional event per month over placebo. The most common adverse reactions associated with the use of Addyi included dizziness, somnolence, and dry mouth. The mechanism by which Addyi improves sexual desires is currently unknown. Addyi was approved also with a Boxed Warning to highlight the risk of severe hypotension and loss of consciousness (syncope) in patients who drink alcohol during treatment with Addyi and in those who use moderate to strong CYP3A4 inhibitors that interfere with the breakdown of the medication. The newly approved drug is also contraindicated for those with liver disease. Because of the increased risk of severe hypotension and syncope due to the interaction between Addyi and alcohol, the FDA is requiring all prescribers of Addyi to enroll and complete training in a risk evaluation and mitigation strategy (REMS), which includes elements to assure safe use. Certified prescribers must counsel patients using a Patient-Provider Agreement Form about the increased risk of severe hypotension and syncope and about the importance of not drinking alcohol during treatment with Addyi. Only REMS-certified pharmacies will be allowed to dispense Addyi from a certified prescriber. For more information on Addyi, see the FDA press announcement here. To read more about Sexual and Gender Identity Disorders, see the Psychiatric News article Layperson’s Guide to DSM-5 Describes Sexual Disorders, Gender Dysphoria. Despite greater comorbidity and less prior exposure to antidepressant treatment and psychotherapy, older African Americans appear to be no more likely to discontinue venlafaxine treatment and experience a rate of remission from depression that is comparable to white seniors, according to a study appearing online in Psychiatric Services in Advance. The results suggest that with appropriate pharmacotherapy embedded in good supportive care it is possible to mitigate the well-established disparity in antidepressant outcomes between older black and white adults, according to the study authors. Researchers from several institutions analyzed data from the initial phase of a NIMH-sponsored multicenter trial (Pittsburgh, St. Louis, and Toronto) called “Incomplete Response in Late-Life Depression: Getting to Remission” (IRL-GREY). In the initial phase of IRL-GREY, a total of 47 black and 412 white adults aged 60 or older were treated with open-label venlafaxine extended-release for 12 to 14 weeks. Venlafaxine extended-release was initiated at 37.5 mg per day and titrated to a target dose of 150 mg per day. At the end of week six, non-remitters had their dose increased further to a target dose of up to 300 mg per day. Throughout the study, pharmacotherapy was embedded in a model of depression care management including supportive clinical care focusing on psychoeducation about depression and its treatment, depressive symptoms, suicidal ideation, countermeasures for medication adverse effects, and treatment adherence. Baseline depression severity, depression duration, age at onset, and recurrence history did not differ between groups; however, black participants had greater baseline general medical comorbidity, worse physical health–related quality of life, and poorer cognitive function compared with white participants. White participants were also more likely to have received an adequate trial of antidepressant and psychotherapy before study entry. Despite the differences between the two groups, the study authors found that black and white participants had similar final doses of venlafaxine and similar rates of attrition and remission. The American Heart Association (AHA) has issued a scientific statement recommending that major depressive disorder (MDD) and bipolar disorder (BD) in teens be considered independent risk factors for early-onset cardiovascular disease. As a result, experts recommend that adolescents with these mood disorders receive early monitoring for heart and blood vessel problems, particularly if they are taking mood disorder medications that can have adverse metabolic effects. Based on a review of the published research, the AHA expert panel found sufficient evidence to classify MDD and BD as tier II conditions—those “shown to be associated with pathologic, physiologic, or subclinical evidence of accelerated atherosclerosis.” While tier II conditions are considered moderate risk factors, the AHA expert panel that developed the statement noted that teens with MDD and BD are more likely to have other traditional heart risk factors such as high blood pressure, obesity, or diabetes, and thus are more likely to be at high risk for heart disease. MDD and BD are common disorders among U.S. adolescents, affecting about 8.7% and 2.6% of teens, respectively. As such, there is a large population of youth who now deserve extra vigilance, noted Benjamin Goldstein, M.D., Ph.D., a child-adolescent psychiatrist at the University of Toronto, who was the lead author of the statement. “Mood disorders are often lifelong conditions, and managing cardiovascular risk early and assertively is tremendously important if we are to be successful in ensuring that the next generation of youth has better cardiovascular outcomes,” Goldstein said in a press release. To read about research linking antidepressant medication with positive cardiovascular benefits, see the Psychiatric News article "Antidepressants May Help Improve Heart Health." A study published yesterday in Arthritis Care & Research shows that depression, stress, anxiety, and anger are associated with increased atherosclerosis markers, which are known predictors of cardiovascular disease risk, in people with rheumatoid arthritis. Although rheumatoid arthritis has been associated with an elevated risk for cardiovascular disease, factors underlying such risks in individuals with rheumatoid arthritis remain unclear. Researchers from the Columbia University College of Physicians and Surgeons conducted a study with 195 individuals with rheumatoid arthritis and 1,073 individuals without rheumatoid arthritis to examine whether psychosocial factors are deferentially associated with risks for cardiovascular diseases and atherosclerosis in populations with rheumatoid arthritis compared with the general population. In addition to assessing symptoms of depression, stress, anxiety, and more, the researchers measured the participants’ coronary artery calcium (a marker of coronary artery disease) and carotid artery thickness and plaque build-up (both markers for atherosclerosis). The analysis showed that high scores for anxiety and anger, depression, and caregiver stress in the rheumatoid arthritis group were statistically and significantly associated with higher levels of calcium (>100 units) in the coronary artery, indicating a risk for moderate to mild coronary artery disease. Elevated levels of job stress were associated with increased buildup of plaque in the carotid artery in the rheumatoid arthritis cohort but not in controls. Based on their findings, the authors concluded that screening patients with rheumatoid arthritis for psychosocial comorbidities, such as symptoms of depression, anxiety, and stress, may help to ameliorate additional cardiovascular disease-related burdens. A 12-week intervention with omega-3 polyunsaturated fatty acids (PUFAs) reduced the risk of transition to full-threshold psychotic disorder in young people at high risk of psychosis for seven years, according to a study published this week in Nature Communications. The findings suggest a possible longer-term prevention strategy for young people at risk of psychosis. Omega-3s are known to play a key role in brain development and function. Nearly a decade ago, researchers from the University of Melbourne and the Medical University of Austria tracked a group of 81 adolescents and young adults (aged 13 to 25) at ultra-high risk of psychotic disorder for 40 weeks after they received fish oil capsules containing omega-3 fatty acids (700mg of eicosapentaenoic acid and 480mg of docosahexaenoic acid) or placebo daily for 12 weeks. At the end of the trial, the authors reported that the 12-week intervention reduced the transition rate to psychosis and led to significant symptomatic and functional improvements. In the current study, the authors followed up with 71 of the original 81 study participants nearly seven years later. Based on interviews with the study participants, next of kin, and hospital records, the researchers compared the conversion rate to psychosis between those who originally took omega-3s with those who took placebo. The cumulative conversion rate to psychosis at the longer-term follow-up was 9.8% (4/41) of subjects in the omega-3 group, and 40% (16/40) of subjects in the placebo group. The difference between the groups in the cumulative risk of progression to psychosis was 30.2%. Additional analysis revealed that the omega-3 group had significantly higher functioning than the placebo group at longer-term follow-up (based on the Global Assessment of Functioning score) and lower scores than the placebo group on all Positive and Negative Syndrome Scale measures. Chance observations of the effects of medications prescribed for other purposes have often led to the discovery of their psychiatric applications. The use of stimulants for attention-deficit/hyperactivity disorder or the adaptation of an antihistamine into chlorpromazine are just two examples. Now researchers from the University of Minnesota have presented a hypothesis-generating case report describing how ketamine, an anesthetic now being studied for its antidepressant effects, was associated with symptomatic improvement in a 7-year-old boy with extreme behavioral dysregulation. The boy exhibited such severe outbursts that he was placed in a long-term residential facility and often required physical restraints, reported Anna Donoghue, M.D., a PGY-1 resident in psychiatry at the University of Minnesota, and colleagues, online August 10 in the journal Pediatrics. However, after receiving ketamine twice (once for a tonsillectomy and later for magnetic resonance imaging), caregivers noted that the boy’s symptoms remitted (for 13 days after the first occasion and for 8 days after the second). During these periods of remission, he also proved more responsive to psychotherapy. Just how ketamine might have induced such improvement was not clear to the authors. The drug might increase neuroplasticity, “opening the door for the possibility of recovery through engagement in therapy,” they suggested. Children who report lingering postconcussive problems after sustaining a mild traumatic brain injury (TBI) are rated by their parents as having more pre-injury anxiety than national norms, according to a report in The Journal of Neuropsychiatry and Clinical Neurosciences in Advance. The findings suggest providers should carefully consider pre-injury emotional-behavioral functioning when treating children with persistent problems after a mild TBI. Researchers from the Department of Physical Medicine and Rehabilitation at the University of Colorado School of Medicine and Children’s Hospital Colorado, Aurora, surveyed the parents of 278 children (8 to 17 years old) who reported lingering problems following a mild TBI. The parents were asked to rate their children’s pre-injury emotional-behavioral functioning using the Behavior Assessment System for Children–Second Edition (BASC-2), an instrument designed to assess childhood psychopathology and behavioral disorders. The researchers found that the rates of pre-injury anxiety in children were statistically elevated compared with national norms. They also found that children rated as having clinically significant externalizing problems before the presenting injury had sustained, on average, nearly twice as many previous mild TBIs compared with children with normal-range externalizing problems. APA recently released an updated version of the Practice Guidelines for the Psychiatric Evaluation of Adults. In line with the IOM recommendations, this new edition of the practice guidelines was developed following an extensive review of the literature as well as input from around 800 experts in the field. Rather than resembling a manual, these new guidelines are divided into nine separate guideline “modules” that span the breadth of psychiatric evaluation (Review of Psychiatric Symptoms, Trauma History, and Psychiatric Treatment History; Substance Use Assessment; Suicide Risk Assessment; Assessment of Risk for Aggressive Behaviors; Assessment of Cultural Factors; Assessment of Medical Health; Quantitative Assessment; Involvement of the Patient in Treatment Decisions; Documentation of the Psychiatric Evaluation). This new format will enable psychiatrists to readily access what they need while allowing APA to make updates to individual guideline modules when needed as they become outdated, noted Laura Fochtmann, M.D., a professor of psychiatry at Stony Brook University School of Medicine and the medical editor for APA’s practice guidelines. 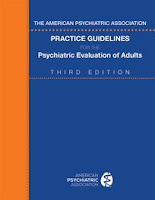 For more information on how the updated guidelines were developed, see the Psychiatric News article “APA Publishes New Guidelines for the Psychiatric Evaluation of Adults.” To download a free copy of APA’s Practice Guidelines for the Psychiatric Evaluation of Adults, Third Edition, click here. APA members can also purchase a hard copy of the Practice Guidelines at a discount from American Psychiatric Association Publishing. Despite evidence to suggest that treatment can improve outcomes for people with alcohol use disorders, previous reports show that only a small percentage of these individuals will seek treatment. A new investigation published this week in Psychiatric Services in Advance suggests attitudinal behaviors (such as “I should be strong enough to handle [the problem] alone”) may be the main factor holding them back. To identify the barriers that keep individuals with alcohol abuse or dependence from seeking treatment and the characteristics associated with these particular barriers, researchers from Pennsylvania State University and Johns Hopkins University analyzed data from the National Epidemiologic Survey on Alcohol and Related Conditions (2001-2002). Within a sample of 1,053 treatment-naive adults with a lifetime alcohol disorder and a perceived treatment need, individuals were best characterized as belonging to one of two distinct groups: 87% reported attitudinal barriers as their only reason for avoiding treatment (low barriers) while 13% reported their reasons for avoiding treatment included attitudinal, financial, stigma, and readiness-for-change barriers (high barriers). The most frequently reported attitudinal barrier to treatment by both cohorts was “I should be strong enough to handle [the problem] alone” (42%), followed by “the problem would get better by itself” (33%). In the high-barriers cohort, the most common stigma-related barrier reported was “too embarrassed to discuss it with anyone” (19%). Also within this group, 14% reported not being able to afford the bill for treatment (a financial barrier) and 7% reported not being aware of places for health care services (a structural barrier). Additional analysis revealed strong associations between individuals in the high-barriers cohort and comorbid psychiatric disorders, alcohol dependence (compared with abuse), and a family history of alcohol problems. Previous studies suggest anticholinergic medication use is associated with an increased risk of cognitive decline and dementia. However, a study published in Psychiatric Services in Advance now reports that the highly anticholinergic SSRI paroxetine does not appear to increase the risk of dementia among elderly nursing home residents with depression compared with other SSRIs. To evaluate the risk of dementia associated with use of paroxetine versus other SSRIs among elderly patients with depression, researchers from the University of Houston and the University of Iowa performed a retrospective cohort study using propensity score matching with 2007–2010 Minimum Data Set–Linked Medicare data. Subjects included elderly nursing home patients with depression who were new users of SSRIs, and they were followed for a maximum of two years. The primary outcome measured was time to diagnosis of dementia after initiation of either paroxetine or other SSRIs (sertraline, citalopram, fluoxetine, fluvoxamine, and escitalopram). Based on the statistical analysis of 3,796 patients (n=1,898 in each group), the researchers found the incidence of dementia was 7.5% for users of paroxetine and 8.6% for users of other SSRIs—a nonsignificant difference. Treatment of maternal psychiatric disorders with selective serotonin reuptake inhibitors (SSRIs) during pregnancy was related to a lower risk of preterm birth and cesarean section but a higher risk of neonatal complications, according to an analysis of results from a large national birth cohort published Tuesday in AJP in Advance. Finnish, American, and Swedish researchers analyzed data from Finnish national registries to compare outcomes for pregnant women exposed to SSRIs (N=15,729) with those who had a psychiatric diagnosis but did not use any SSRIs (N=9,652) and those who had no psychiatric diagnosis and no exposure to SSRIs (N=31,394). The outcomes of interest were diagnoses related to pregnancy and delivery, including hypertension of pregnancy/preeclampsia, vaginal delivery or cesarean section, and bleeding during or after delivery. The researchers also looked at neonatal outcomes, including late preterm (32 to 36 gestational weeks) and very preterm birth (less than 32 weeks), small for gestational age, and neonatal problems, including a five-minute Apgar score less than 7, neonatal breathing problems, monitoring in a neonatal intensive care unit, and hospital stay at 7 days of age. Women in the SSRI group had a lower risk of cesarean section, emergency or urgent cesarean section, and bleeding compared with women who had a psychiatric diagnosis but no medication (but a higher risk of cesarean section than women with no exposure and no diagnosis). Moreover, compared with the psychiatric diagnosis/no medication group, the SSRI group had a 16% lower risk of late preterm birth and a 48% lower risk of very preterm birth. However, in SSRI-treated mothers, the risk was higher for offspring neonatal complications, including low Apgar score and monitoring in a neonatal intensive care unit. Freedman noted that the CDC and similar agencies in other countries monitor drug side effects and report them, even if they are rare, to alert clinicians and their patients of the existence of such side effects and their approximate frequency, but the CDC and other agencies do not generally conduct a risk-benefit analysis to directly guide clinical decisions. For related information, see the Psychiatric News article “SSRI Use in Late Pregnancy May Slightly Increase Risk of Newborn Respiratory Disease. A bipartisan pair of U.S. senators today introduced the Mental Health Reform Act of 2015, intended to expand access to care, enforce parity, and increase the mental health workforce. “This bill gives hope to patients, to families, and to our society and redirects [patients] down a path that ends in wholeness,” said Sen. Bill Cassidy (R-La., at right in photo), a gastroenterologist, at a press conference at the U.S. Capitol Visitor Center. The bill seeks to build inpatient and outpatient capacity, increase the number of providers, invest in research and dissemination of best practices, and better coordinate physical and mental health care, added his cosponsor, Sen. Chris Murphy (D-Conn., left). Levin noted that APA is pleased to see that many of the important provisions in the bill previously introduced in the House by Reps. Tim Murphy (R-Pa.) and Eddie Bernice Johnson (D-Texas), the Helping Families in Mental Health Crisis Act, are included in this proposed Senate legislation. “We are encouraged by the fact that lawmakers in the House and the Senate have filed comprehensive mental health reform legislation,” said APA President Renée Binder, M.D. For more in Psychiatric News on mental health legislation, see "House Health Subcommittee Opens Discussion on Mental Health Bill."